Your quest for the perfectly designed kids tie is over. 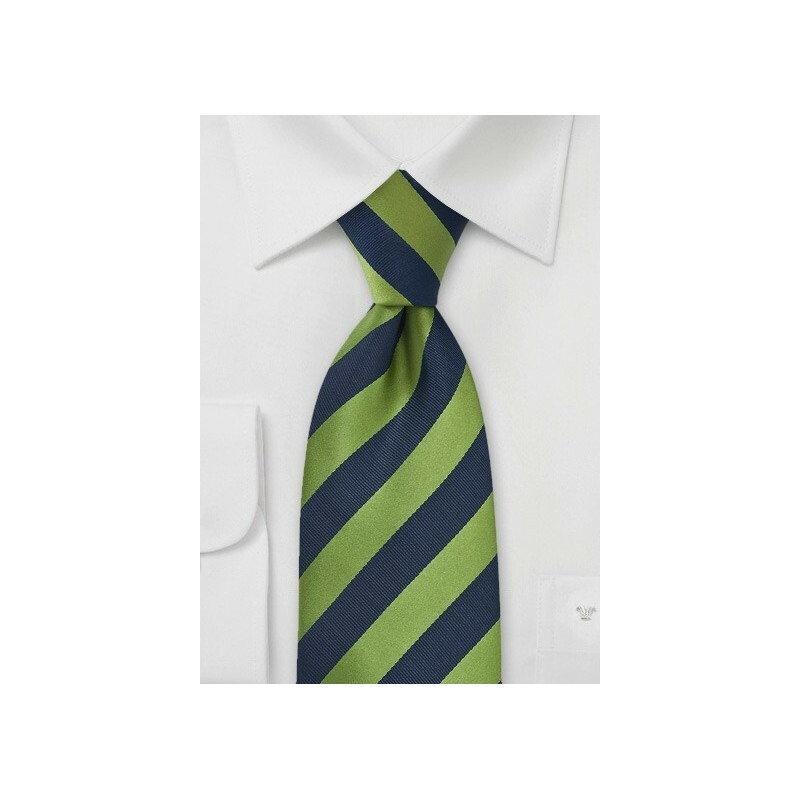 This Navy and Fern Green Kids Necktie is a spectacularly designed and crafted fashion accessory that instantly transforms the basics from drab to absolutely fab. The handwoven stripes in Navy and Fern pair well with classic whites, navy blues, tans and greys. 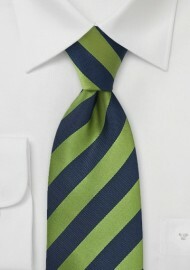 We love to see this tie teamed up with a denim button down, chinos and a cotton cardigan sweater. Made from 100% microfiber.